Aged, alone, having to fend for herself and a deteriorating vision, things couldn't have gotten worse for 68-year- old Pattu. 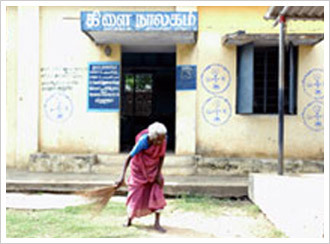 A sweeper in a library at Varadharajapuram, Pattu was on the verge of losing her livelihood due to her deteriorating vision. Just when all hope began to fade, Pattu found succour in the form of JCOC (Jaslok Community Ophthalmology Centre). 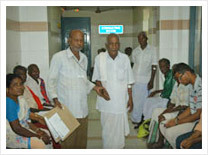 Unable to meet any medical expenditure, JCOC took on the responsibility of performing a free of cost surgery on Pattu. With her vision restored, this gutsy woman is back to living her life by herself. Pattu represents just one among the thousands who face vision-related problems in the country. It is to enable people like Pattu and other indigent people to quality eye care that JCOC owes its genesis to. 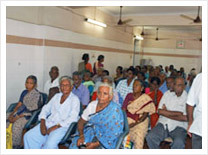 Established in 1999, JCOC, has provided free eye care services to a number of underprivileged people. In a country where 62.4 % become blind due to cataract, JCOC has emerged as a leading institution in providing quality cataract treatment, especially to the rural population who seldom have access to specialist eye care. At JCOC, community service is not just helping the underprivileged but also roping in community to contribute to our endeavours. In partnership with a number of NGOs, JCOC conducts eye camps at the city slums as well as rural areas. Those who require surgery are brought to JCOC. Surgery and post-operative care expenses are borne by JCOC if a patient family income is less than Rs. 7,000 per month. Following the surgery, the patient is taken back to his/her village; this is followed a week later by a doctor visit to examine how the patient is recuperating.An indigent patient who is treated free of cost at JCOC is eligible for the same for life. An understanding with the city MOP Vaishnav college and Meenakshi college for women has led to college students actively volunteering at JCOC out-patient department. Volunteers from SMILE, SWAN and the Sathya Sai Organisation have contributed effectively in the smooth functioning of JCOC.The institute has also provided its services to inmates at Banyan and to the aged at Little Sisters of Poor. We have also been supported by Lion Club International, Tulsi Trust, Singavi Charitable Trust, Madras West Round Table 10 and Tamil Nadu District Blindness Control Society for Community out Reach Program. With five operation theatres and 75 beds, JCOC treats about 200-300 out patients every day and performs between 30-40 surgeries every day. JCOC also serves as a training centre for PGs and Fellows of Sankara Nethralaya and offers training programmes such as the Ratan Tata Fellowship programme. Having emerged as a leading eye hospital, Sankara Nethralaya takes on community service with utmost sincerity and dedication. And JCOC is a prime example of our belief in serving humanity. 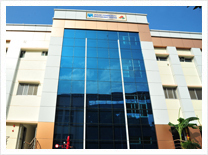 138, Rama Building, Greams Road (near apollo heart hospital), Thousand Light, Chennai 600 006.